I love living in Stamford, CT. I highly recommend this beautiful and diverse waterfront city to anyone looking to move to Fairfield county in Connecticut. Stamford Offers lots of great shopping and wonderful restaurants. Great beautiful beaches and water properties. 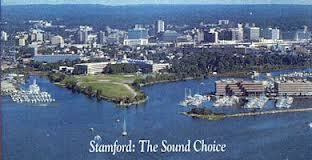 Stamford is approximately 40 Square miles. 35 miles North East of New York City. There are several parks with playgrounds, tennis, basketball and picnic areas. Stamford offers museums and nature trails. A public golf course called Sterling Farms. The approximate population is 125,109 (est. 2012). When buying or selling, let me my real estate experience go to work for you. I will find you your dream home. There is not a better time to buy/invest then now! Rates are at the lowest they have ever been within 60 years. Location Characteristics: Great City with Lots of Corporate Buildings and Shopping. Good schools, Public Golf Course and lots of Great Beaches along with lots of great restaurants and night life.